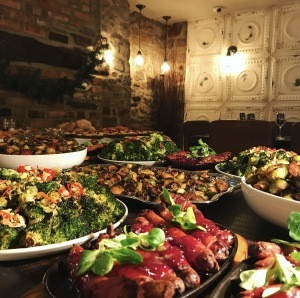 Book your Christmas Party for 2019! Thank you so much for an amazing evening. 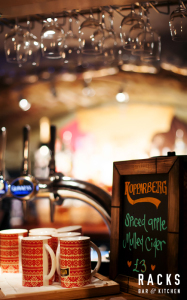 You have a fantastic venue there (it was my first visit) and it worked perfectly for us. 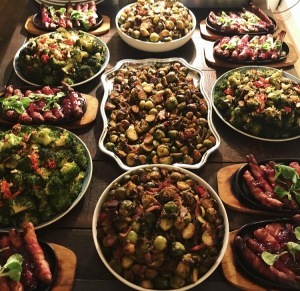 I have to tell you how impressed everyone was with the food – it was amaaaaazing. Congratulations to your chef and team for such a magnificent spread. It was delicious. 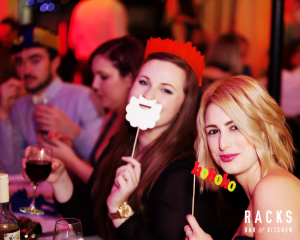 If you’re looking for the best Christmas party Bristol has to offer then look no further! With its cosy alcoves, warming fireplace and the friendliest of atmospheres, Racks is the perfect place to see you through the festive season. 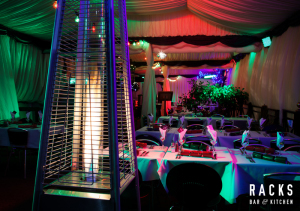 If you want to get a feel for the place, take a look around with our floor plan and gallery. 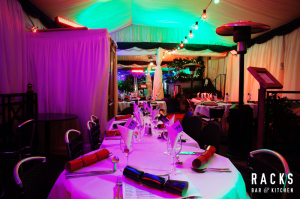 Whether you are looking to book a cosy table for 2 next to our burning log fire or wish to make use of the Playroom and heated marquee for up to 150 people, our Christmas Calendars will be a good place to start to check if we can take you. 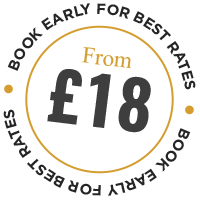 They’ll tell you our availability and prices for the date and time you’re after. 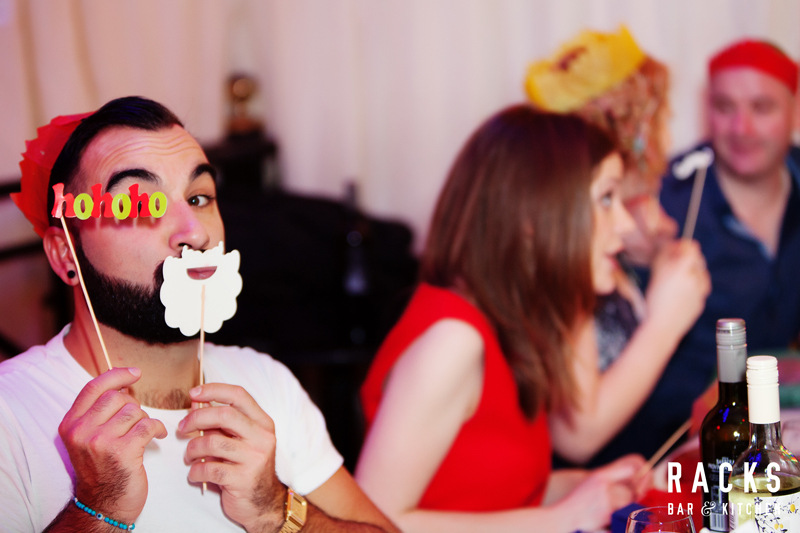 Our events team is on hand to help make the whole process of booking your Christmas party as straightforward as possible, Simply fill out an enquiry form and we will get in contact with full details. 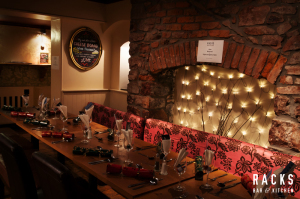 With many hidden nooks and crannies for that intimate Christmas meet up, let us create the perfect festive atmosphere for your special evening. 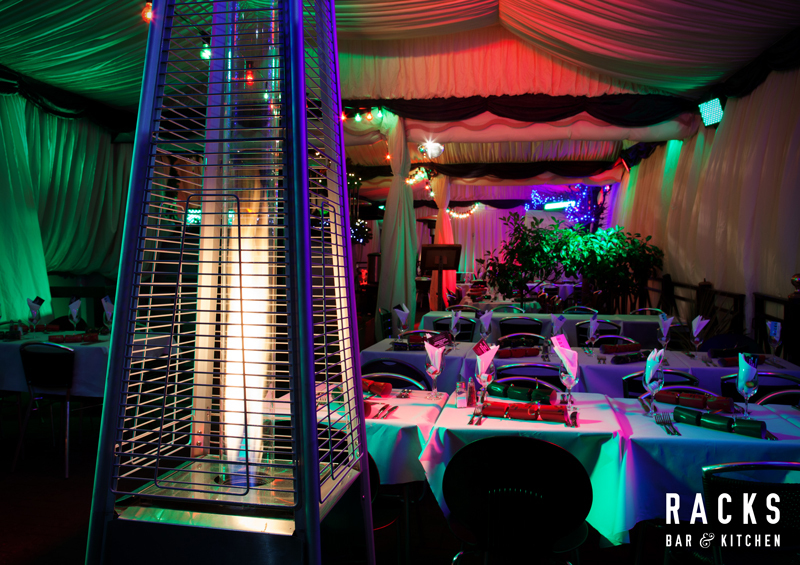 There’s several spaces here at Racks that can be hired out for all sorts of different occasions. 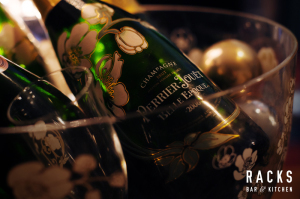 The ‘Playroom’, our self-contained private bar and dance floor, can accommodate a DJ or live band, and we are able to cater for parties of any size from a small gathering with some close friends to a spectacular party for the whole office to enjoy. So if you’re searching for the best Christmas party Bristol has to offer, you’re looking at it. 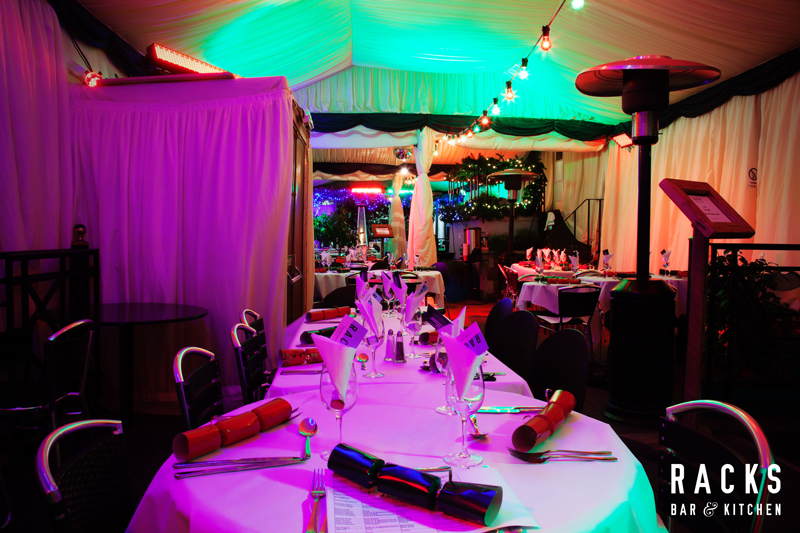 We operate a variable pricing policy for our Christmas parties – the earlier you book, the cheaper it is! 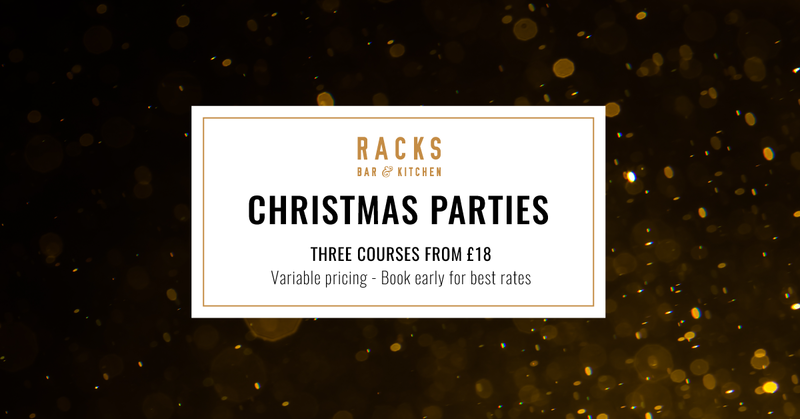 Select the date you are interested in booking from the calendar below – There will be lunch price and an evening price, hit enquire to contact our events manager about that date! Christmas Parties must be booked in advance with the exception of our Express Lunch Menu Please be aware when pre-ordering food that a deposit must be paid and the final booking confirmed at least 48 hours in advance. 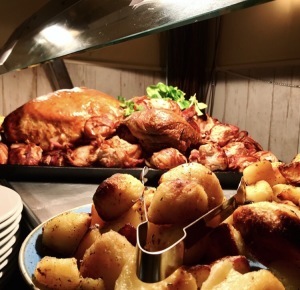 Pre-ordered food will be deducted from the deposit unless we are notified of changes to the booking at least 48 hours in advance.